Staying in the District this holiday and planning to celebrate? We have you covered. Whether it’s a nice dinner with your babe or a casual party at a dive bar, Washington has plenty of options. And, don’t forget to lick your wounds at brunch the next day. Here’s our list of the parties, dinners and brunches to help you ring in the New Year. Cotton & Reed will be co-hosting 1975 to One, a disco themed New Year’s Eve party with their friends at Five to One. The disco ball is one of their most favorable items at the tasting room bar. For this one night, Cotton & Reed will be embracing the 70s era with disco tunes, dancing, and costumes. Best disco costume of the night will take home $500! Groovy. 1330 5th Street N.E., Washington, D.C. 20002. Wanna raise glasses with your friends on New Years Eve? Maybe a little break from family? Red Derby has got you covered. Their casual and playful atmosphere is perfect for a low maintenance New Years. They’ll be open from brunch until the late hours of the night. Get festive with Red Derby. 3718 14th St N.W., Washington, D.C. 20010. 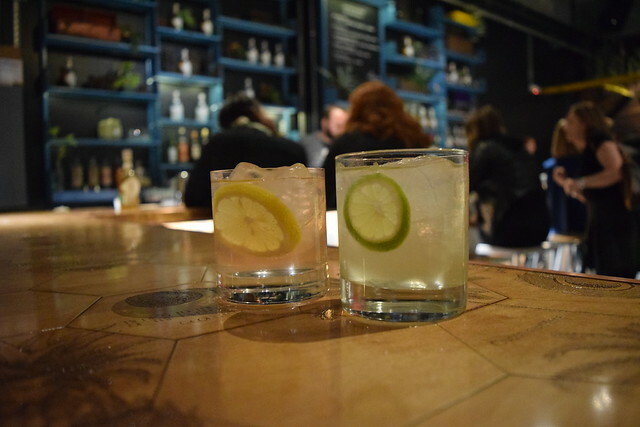 Barrel’s rustic whisky lounge is a unique spot to ring in the new year. The menu consists of Southern small plates and classic comfort foods. 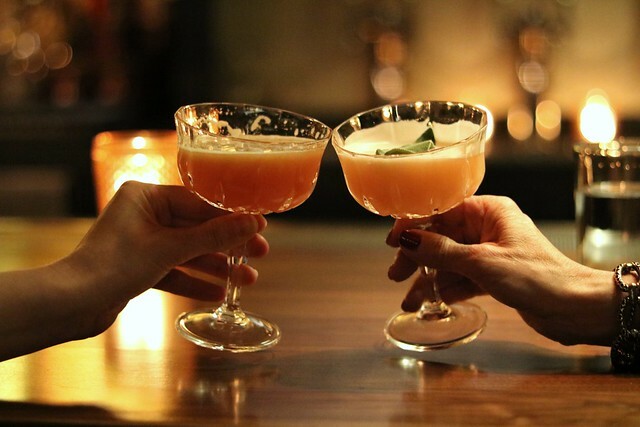 They are hosting an all you can eat and drink event on NYE called “The Blind Pig.” Tons of barbeque dishes and specialty cocktails are in store for a night at Barrel in Capitol Hill. 613 Pennsylvania Ave S.E., Washington, D.C. 20003. There’s nothing fishy about an evening at Passion Fish. Take advantage of the NYE fish specials this year. From a raw bar, signature crab cakes, and unique maki rolls, passion fish is a spot any fish lover would die for. 7187 Woodmont Ave, Bethesda, MD 20814. Join Church Key at their all inclusive New Year’s Eve party for a night of rollicking revelry, featuring an unlimited sea of extraordinary beers, fine food, mirth and merriment. Snacks, beers, and cocktails are ready for the taking as you approach 2018. 337 14th St N.W., Washington, D.C. 20005. 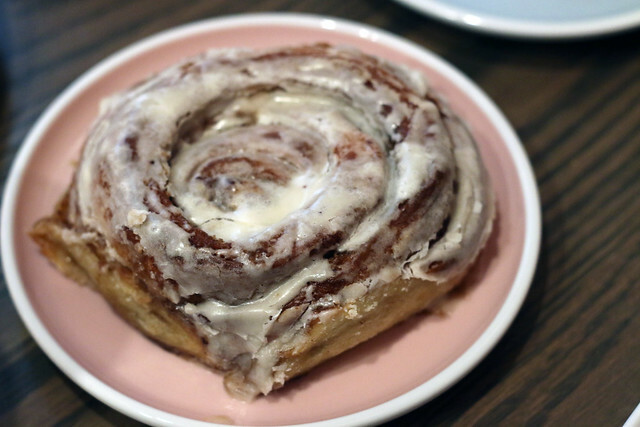 Starting at 10:30, you can get your brunch on at Convival in Shaw. 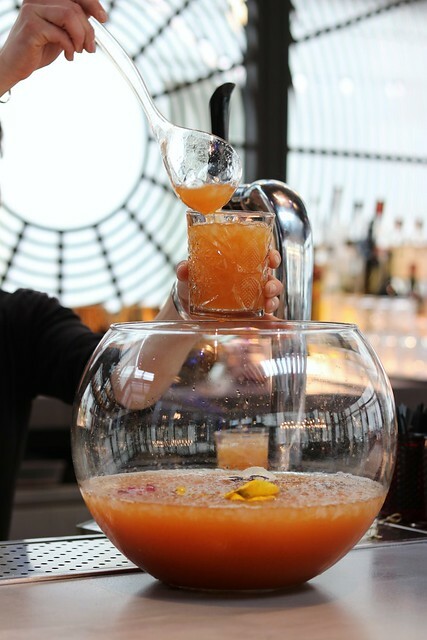 Creative craft cocktails, vibrant atmosphere, and delicious brunch items are on the itinerary for this NYE brunch. What more could you ask for? Fuel up for your night of partying that is to follow. 801 O St N.W., Washington, D.C. 20001. Joselito will transport guests to an “Evening in Spain” dinner party complete with Spanish dishes featuring ingredients known to bring love, luck and good fortune in the new year. The NYE celebration will include two seatings. Reservations for the first seating will be taken between 5-7:30 p.m.. The second seating will take reservations from 9 to 10:30 p.m. and will feature a six course menu. Live jazz begins at 10:30 p.m., followed by party favors, a balloon drop, and a champagne toast with the Spanish tradition of 12 grapes for good luck at midnight. 660 Pennsylvania Ave S.E., Washington, D.C. 20003. Welcome the new year with City Perch on Sunday, December 31. Enter 2018 feeling refreshed and renewed after enjoying a pleasing four-course meal created by Executive Chef Israel Lopez and three-time James Beard winner Chef Sherry Yard, live DJ and midnight champagne toast. 11830 Grand Park Ave Suite B, North Bethesda, MD 20852. Stable’s Fondue Chinoise experience is a special one.You will be welcomed with a Champagne cocktail and house-smoked salmon before the two-part Fondue Chinoise feast begins.The evening will conclude with dessert and a Swiss Sparkling Wine “prost” to ring in the new year and send you into 2018. 1324 H St N.E., Washington, D.C. 20002. Join D.C. Harvest for a decadent dining experience featuring a locally sourced winter menu along with luxurious specials featuring lobster, duck confit, and kampachi tartare. Included are complimentary amuse bouche, dessert surprises, and a champagne toast at midnight. Every guest will take a home an item from some of their homemade goods. 517 H St N.E., Washington, D.C. 20002. The new and chic, Whisky Charlie is excited to ring in the New Year of 2018. You can be the first to book your evening by the Wharf.. Sit on the swanky rooftop, cozy up next to outdoor fire pits, sip champagne, and nosh on elegant hors devours. This celebration is reservation only, so you should act fast before everyone else decides an epic view of the Wharf is how they should be spending NYE. 975 7th St S.W., Washington, D.C. 20024. Celebrate the New Year with DBGB DC’s holiday menu! Early birds can enjoy DBGB DC’s pre gala menu from 5pm – 6:30 p.m. with specials including their Delecata Squash served with ricotta, sage, and black truffle vinaigrette as well as their decadent Foie Gras Terrine served alongside spiced bartlett pears, brioche and hazelnut shavings. DBGB DC will also be offering a four course prix fixe menu from 7 – 10:15 p.m. for $95 showcasing dishes such as Blue Crab Spaghettini with meyer lemon and saffron as well as Halibut with Jerusalem artichoke chowder, celery, little neck clams and bacon crumble. 931 H Street N.W., Washington, DC. A legendary way to embark on the adventure of 2018 starts with Tiger Fork’s five course menu including the guest’s choice of champagne or a signature cocktail for $70 per person. Guests can decide between an earlier seating at 6:30 p.m. or a later seating at 9:30 p.m.. 922 N Street N.W., Washington, D.C. Flight Wine Bar, Chinatown’s intimate family-owned wine bar, pairs their wine list of over 460 varietals with their seasonal and locally sourced menu. Toast to the New Year with an a la carte dinner menu featuring dishes like fried artichoke served with sea urchin, pistachio, lemon and chili as well as fried chicken with celery root remoulade and honey mustard. Champagne and drink specials will be running all evening. T777 6th Street N.W., Washington, D.C. Guests can enjoy special New Year’s Eve additions to Succotash’s daily menu with a choice of three seatings, 5pm – 6:30 p.m., 7:00 – 8:30 p.m. and 9 –10:30 p.m., with the last seating offering complimentary party favors and a champagne toast to ring in the New Year. Special menu items include a Seafood Extravaganza with a three tiered seafood platter, a lobster tail split in half, and two lobster claws among other shellfish options as well as their Southern Caviar Tray for two with two different kinds of caviar, Johnny cakes and sour cream. Both Succotash Penn Quarter and Succotash National Harbor will be open from 10am- 1am on New Year’s Eve and New Year’s Day from 11:30am – 10pm.915 F Street N.W., Washington, D.C.
Executive Chef, Sebastien Rondier is offering a five-course, prix-fixe menu for $95, which includes a champagne toast at midnight. Guests may enjoy an evening dressing to the nines, indulging in a special menu crafted by a native Frenchman classically trained in French cuisine, and choosing from BRABO’s wine list that was awarded Wine Spectator’s coveted “Best of Award of Excellence” in 2017. 1600 King St, Alexandria, VA 22314. Earlier this year, Urbana started offering a special tasting menu, “Cicchetti at Urbana,” where guests have a special front-row seat watching Executive Chef Ethan McKee prepare an eight-course meal at the restaurant’s hearth oven. With no set menu, guests are welcoming Chef Ethan to surprise them with a continuously-changing menu of modern Italian dishes. 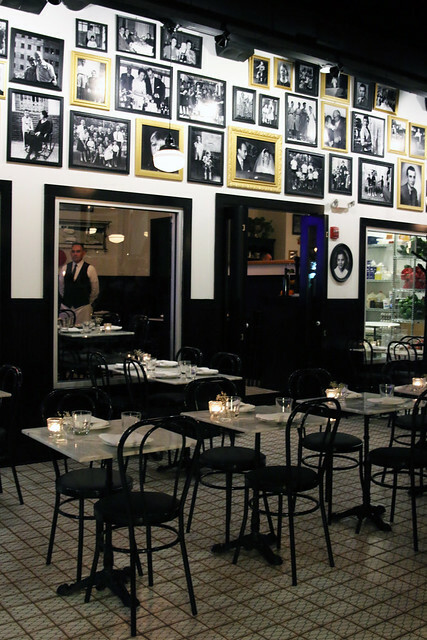 “Cicchetti at Urbana” is normally available on Saturday evenings only, with one seating that night. For New Year’s Eve, Chef Ethan is opening up a special second seating for the holiday weekend! With 10 available seats, couples may reserve tickets for themselves…or invite some friends and create a special private evening for their closest loved ones. 2121 P St N.W., Washington, D.C. 20037. Sayonara, 2017! Zentan is toasting the end of the year with a sparkling sake bar and a la carte specials. Guests are invited to ring in the new year by sipping through an extensive selection of sake over a Japanese dinner. In addition to the regular menu, Executive Chef Yo Matsuzaki is cooking up special New Year’s appetizers ranging from $14-20. 1155 14th St N.W., Washington, D.C. 20005. 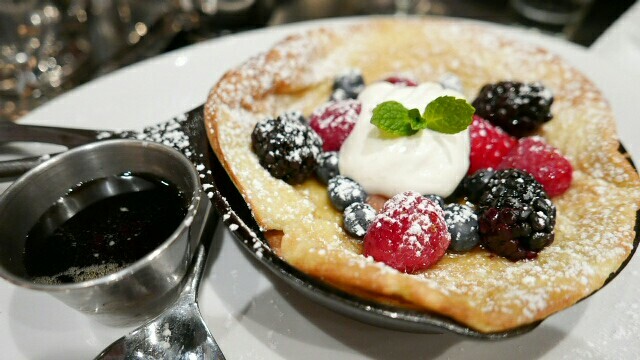 Penn 6 is featuring a “Flannels & French Toast” event this NYD. Kick off 2018 the right way—with a New Year’s Day Brunch that has a half-off bottomless champagne bar. Throw on your comfiest flannel and treat yourself to a complimentary appetizer on the house… Your resolutions can wait until Tuesday. 1350 I St N.W., Washington, D.C. 20005. New Year’s Eve Parties are important, but don’t forget to book your New Year’s Day Brunch! Hawthorne will be open on Monday, Jan 1, showing all of the football games, and serving its bottomless brunch. Don’t let the party end at midnight!1336 U St N.W., Washington, D.C. 20009. 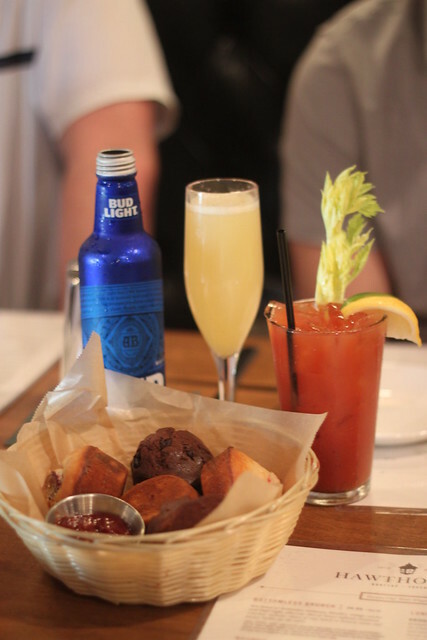 Keep the festivities going passed midnight at the Wharf’s first NYD brunch. For those of you who wish brunch could happen for all hours of the day, consider wishes granted this year. Del Mar will be open for brunch all day on Monday, January 1st from 11:30 a.m 9:00 p.m.791 Wharf Street S.W., Washington, D.C. 20024. Back by popular demand, Dirty Habit is offering their Fortune Teller’s Brunch on New Year’s Day for the second year. During brunch, a fortune teller will be on site offering complimentary tarot card and lipsology readings. Ariana Lightning Storm is one of only eight certified lips ologists and the first certified teacher of lipsology in the world! Dirty Habit guests are welcome to join Ariana at her “kissing station,” put on lipstick, kiss their unique kiss card, and learn about their lip-print messages from Ariana with humor and insight. Guests also have the option to get a tarot card reading from Ariana. Her interpretations will offer guests a way to look at themselves a little differently and welcome the new year with some fun and laughter. 555 8th St N.W., Washington, D.C. 20004. Radiator will make a leap into a new year…or rather, a new decade when they kick off their brand new brunch series, “I Wear My Sunglasses at Brunch.” Chef Jonathan and Sarah will be debuting their new brunch menu items on New Year’s Day. Sunglasses will be made available to any guest upon request. 1430 Rhode Island Ave. N.W., Washington, D.C. 20005.